The manner of how you wake up in the morning is one of the big determinants of how the rest of your day will be. Now that’s saying quite something. If you wake up cranky, well then you can expect to have a pretty long and dreadful day! However, if you manage to get up in a good mood, then you will most likely be feeling smooth and light, not to mention amiable for others to be around. Moreover, who wants to feel cranky, tired and distracted all day? With all that in mind then, there are some creative products and items to make use of to really get the right engines going during the morning. We all have those days where waking up feels like the biggest undertaking of the day. Our ancestors generally slept when it was dark and woke naturally with the rising sun. Life and work in today’s society though don’t always follow this natural pattern. Some of us often wake up when its dark outside just to go to work. The problem with these kinds of situations is that your melatonin production is still active which makes you sleepier. Here is where this innovative and smart alarm clock comes into play. Philips Wake-Up Light With Colored Sunrise and Sunset Simulation (HF3520) offers light therapy in the form of a lamp and alarm clock which simulates a natural sunrise out in nature. This could really lighten your mood every morning (literally). The benefits of this clock is that it doesn’t startle and jolt you out of bed but gradually and intelligently welcomes you into the waking state. This versatile clock can also be used for sleeping purposes where the reverse takes place, i.e. a natural sunset to help you gradually fall asleep. 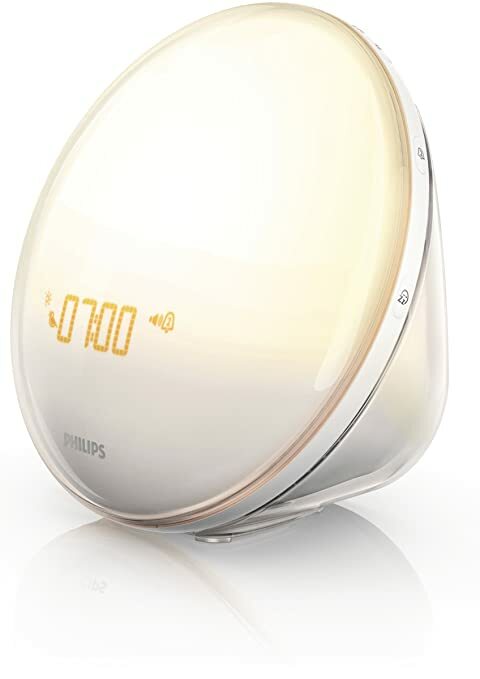 This clock being one of Philips best selling wake-up light alarm clocks is not a shocker, considering that it also comes with a variety of natural sounds plus with white noise function to enhance the experience of both waking up and sleeping. Smell is a underused and underrated sense organ. We’re all fascinated by the visuals and auditory aspects of everyday life while our noses and the amazing sense of smell often ends up in the background of our life. With that said, some fragrances and aromas, especially essential oils, can definitely turn you into a believer! 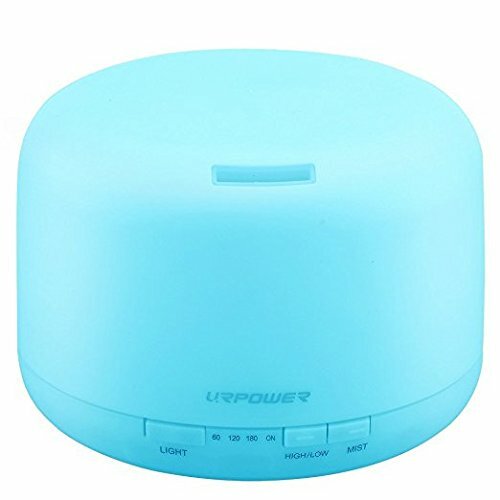 Here is where this essential oil diffuser (Aromatherapy Essential Oil Diffuser Humidifier Room Decor Lighting with 4 Timer Settings) comes into play. Program it the day before to release the desired oil into the air and atmosphere simultaneously as your light wake-up clock gently wakes you from sleep. 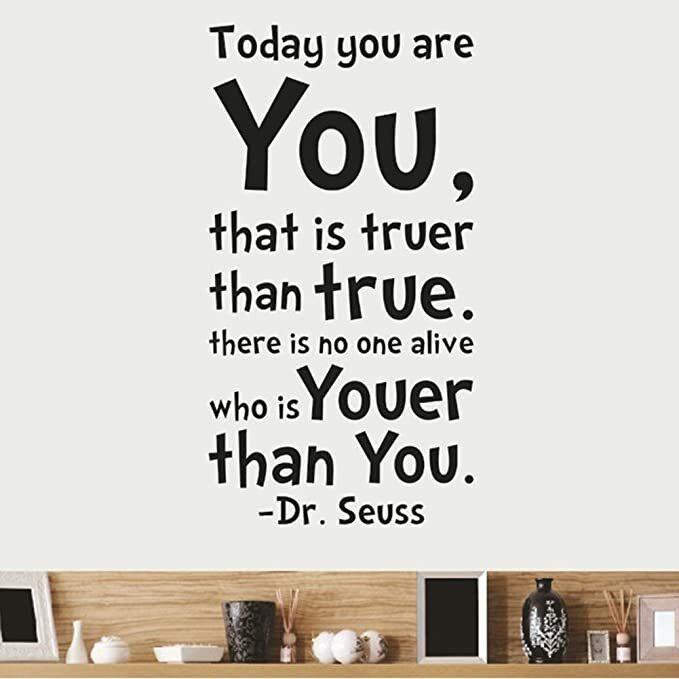 Sometimes we don’t need fancy technologies like the essential oil diffusers or the light alarm clock mentioned above to help us wake up in a good mood, sometimes all we need is some encouraging and inspirational words. Words and meaning have the power to really change the course of our days if not lives. For some individuals hearing the right words at the right time can really be life-changing. With that said, here is where inspirational quotes that you can hang and place around your room comes into play. Coffee, caffeine, the brown bean, the hallmark of todays western society, some whom literally can’t live without it, whether its for a quick jolt of energy, the smell and buzz, combatting anxiety or for the relief of headaches, the fact remains, millions of people have integrated coffee into their lives. That being said, some love the smell of freshly brewed coffee in the morning, so why not wake up to that? 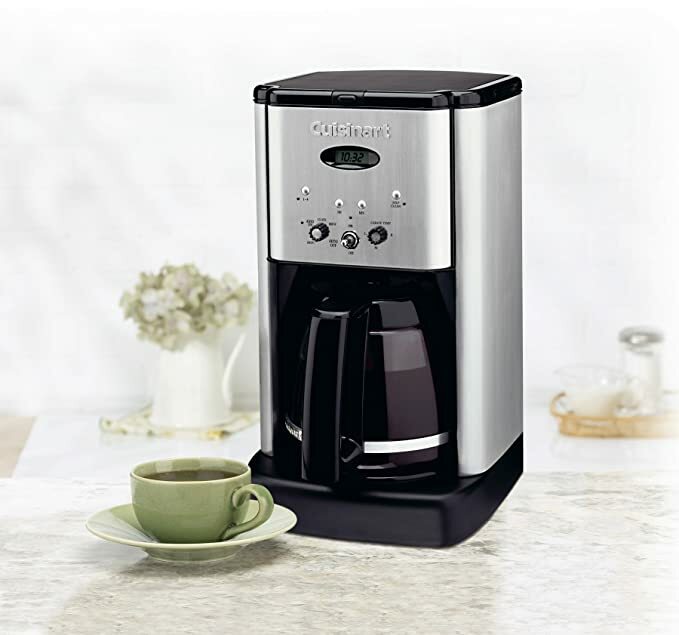 This programable coffee machine by Cuisinart does exactly that (Cuisinart DCC-1200 Brew Central 12 Cup Programmable Coffeemaker). Simply program the coffee the day before (max is 24 hours prior) and you’ll be primed for coffee gold! For some coffee just isn’t right. Whether its for digestive reasons or personal preference, some find tea to be much more their own “cup of tea”. Tea is a lovely and gentle way to start your mornings. 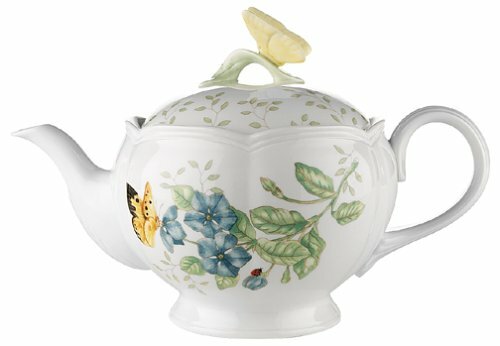 If this serenity-infused teapot by Lenox, (Lenox Butterfly Meadow Teapot with Lid), doesn’t lighten your mood every time you pour some aromatic tea into your cup I don’t know what will. To simply gaze at the aesthetics and arts could be considered enough for some to cheer them up, and the butterflies on this teapot is simply lovely. If you’re craving a more colourful and healthy alternative to coffee and tea, a life-boosting and energizing smoothie could be right up your alley. The importance of a good blender/mixer is a big factor to making that A-okay breakfast smoothie that you can take with you on the go. 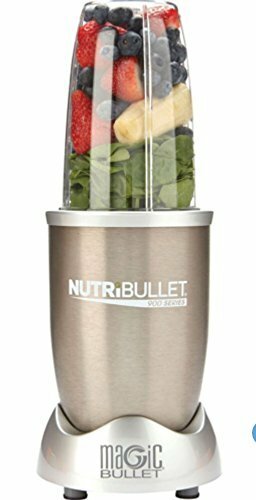 This one, (NutriBullet Pro – 13-Piece High-Speed Blender/Mixer System), will definitely get the job done. Expect a perfectly smooth smoothie after throwing in all your desired fruits, veggies and what have you. Not to mention that you get a useful little recipe book as a gift to help you try out some new flavours and combinations! Sometimes the items aren’t enough by themselves and a little bit of wisdom in the form of good habits and good thought patterns are also required. 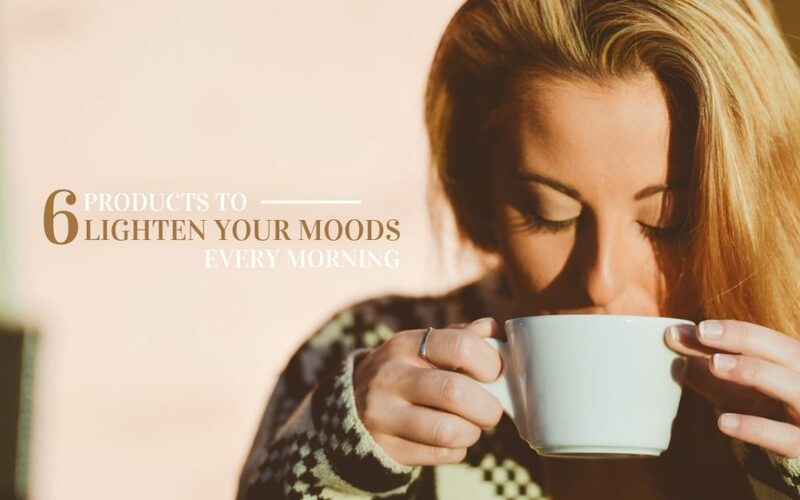 Here are some tips and tricks that you can employ every morning to ensure that you have peace of mind and a pleasant mood when you start your day. These will take as little as 5-10 minutes of your morning time, meaning they will blend in perfectly with your morning routine. No one likes the pressures of waking up rapidly and having to rush to get ready for the day. Setting your alarm for some minutes earlier gives you time to wake up gradually, stretch out and psychologically prepare for your day! (Especially with the light wake-up alarm clock) You can also use this short time to take a look at your schedule for the day and therefore prepare psychologically for your day. There’s nothing as great as a little natural light seeping into your room in the morning. It gives you glimpses of a bright day and as a result, morale to take on your day! Stretching: This is probably one of the first things we all do on waking up. You can just stretch out in bed or on a yoga mat before starting to prepare for your day. Exercise: Working out is another great way to jumpstart your day. 30 minutes to an hour in the gym or preferably out in nature can and will have a wondrous effect on your entire day! Meditation: A short 10-minute session of meditation is more than enough to focus, centre and settle your mind, preparing you for the events of the day, whatever they might be. Reading a Quote: If you love having some motivational drive as you start your day, then you can subscribe to a service or app that delivers a motivational quote to your phone every morning. This is definitely a great way to start your day! Watching a Short Clip: As you are getting ready for your day, you can play a short clip of your favorite motivational speaker or something as simple as a TED talk or even listen to a podcast to jump-start your day. We tend to have a very clear mind on waking up, which is perfect for retention of important details. Listening To Your Favorite Song: Music is food for the soul! Rocking to some of your favorite tunes on waking up is the perfect way to improve your moods, leaving you jovial and ready for your day. All in all, the open secret is simply to custom-tailor your morning routine to include the things and habits you love before joining the morning craze whether at home, school or at work. Take a few minutes for your own personal time every morning and you will definitely be in a upbeat and good mood as you embark on your activities for that whole day!